From the beginning, starting with our Free Plan level, TabSite allows you to add other Admins to your TabSite accounts per fan page for ease of collaboration. This means you can assign one team member to have access to edit the TabSite custom tabs for fan page "A", and another can be assigned to have access to the TabSite tabs for fan page "B", etc. Are you a designer doing work for a client? No problem. You can create the account and assign them Admin access, or vice versa. 2. Then login into the TabSite Manager and click on 'Account Information' in the left navigation bar. 3. From the options on this page, choose Administrator Manager. Enter the email address of the person you want to make an admin of your Facebook Fan Page, then choose Standard Admin or Master Admin from the drop down box. The admins you add will show up at the bottom of your Administrator Admin tab. 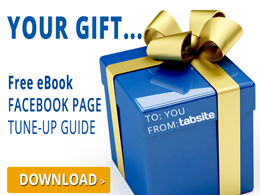 As Facebook Fan Pages become even more critical assets for businesses to engage with their audiences, TabSite will continue the development of new tools and capabilities allowing TabSite users to have a simple way to expand their Facebook Fan Page. See TabSite plans and features here: Account Levels. Facebook will remove Static FBML Tabs in 2012. Change to TabSite now! TabSite - The Simple Facebook Fan Page Customizing Tool!